When in Honolulu, make a side trip to see Kailua Beach Park in Kailua, approximately 32 minutes away. 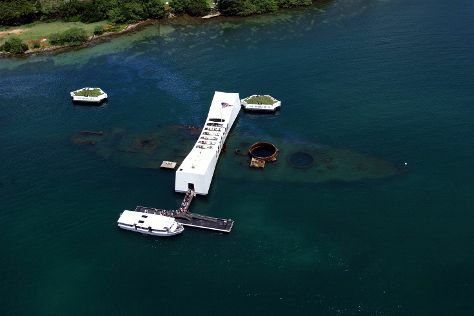 There's still lots to do: explore the galleries of USS Arizona Memorial, pause for some photo ops at Queen Liliuokalani Statue, take in the dramatic scenery at Manoa Falls, and hike along Diamond Head State Monument. For traveler tips, other places to visit, and tourist information, read Honolulu trip planner. In March in Honolulu, expect temperatures between 81°F during the day and 68°F at night. Cap off your sightseeing on the 21st (Thu) early enough to travel back home.